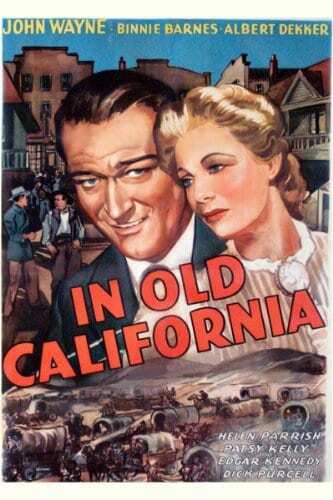 In 1910, D. W. Griffith shot the first film in Hollywood, named “In Old California”. 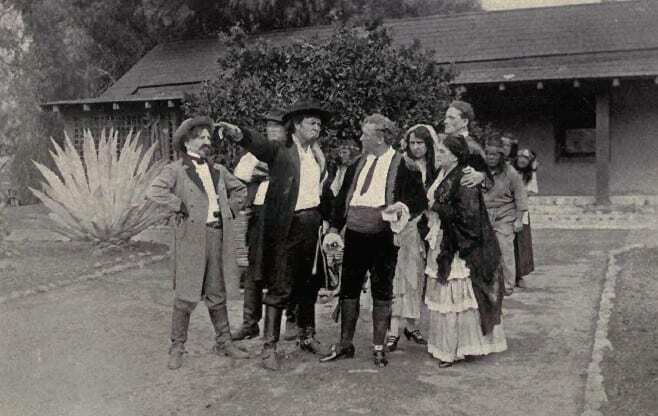 The film is about California in the Mexican era. Griffith traveled to California and discovered the small village Hollywood, with friendly people and beautiful landscape. There is no better place on Earth to be at this time than the center of glamour and show-business. Hollywood is the place of magic stories, legends and the main attraction for actors, singers, directors, make-up artists, musicians, scenarists, and producers. Hollywood is a proof of innovative and rich in history 20th-century American life. For many years, the film The Squaw Man (1914) was considered the first film made in Hollywood. Cecil B. DeMille is the film’s director. Both are silent motion pictures. Movies have a late origin in late 1800. Some simple devices, made to trick the viewer eyes seeing pictures in motion appeared, making profit for filmmakers. Edward Muybridge, in 1872, had a spectacular idea. He places a few cameras on a horse race and captured shots in rapid sequences when the horses passed in front of cameras. In 1885, William Walker and George Eastman created a film for motion photos. It was an important advance to develop motion photography. But the most important step was made by Louis and Auguste Lumière. These two French brothers created a machine which captured pictures and project the frames in succession; the “cinematographe”. Later, in 1900, the film technology made another huge step. A new creation territory opens the door to filmmakers. Edwin Porter directed an already famous movie, The Great Train Robbery. Filmmakers and businessmen created in early 1900, Nickelodeon, an inexpensive way to watch a movie, in 5 cent movie theaters. The great idea increased the public appetite for movie pictures and generated money for producers and directors. World War I propaganda also generated interest in movie pictures. After the war, the US experienced a cultural boom. Hollywood become the famous home of films in America. In the 1920’s, Hollywood was the first place in the world where to host movie studios. Hollywood spoiled the American public giving birth to many movies’ stars and directors. Hollywood studios produce many movies pictures, released every year. Hollywood success and rapid development is the mirror of American force. At the beginnings, Hollywood hosted biggest film companies, such as Paramount, Warner Brothers Pictures, Metro Goldwin Mayer, RKO, 20th Century Fox with own studios and production sets. Columbia Pictures, United and Universal, considered famous, despite the lack of own movie pictures theaters. Some other production studios like Monogram, Republic, and Disney are considered third-tier. The golden age of Hollywood made possible the rise of many famous stars and directors. Personal directors style made possible by the huge technical progress. The audio tracks in films created the conditions for a new phase in movie picture development. The small village named Hollywood become America’s cultural icon, apart from Los Angeles. Hollywood is now the symbol of great movie pictures, huge movie studios, famous actors and directors, luxury, leisure, and glamor.